70 trucks of humanitarian aid delivered to four besieged towns in Syria for the first time in almost six months. 70 trucks of humanitarian aid were delivered on Sunday to four besieged towns in Syria for the first time in almost six months, the International Committee of the Red Cross (ICRC) said, according to the Reuters news agency. The aid organization said convoys were delivered to Madaya and Zabdani near Damascus and to the villages of al Foua and Kefraya in Idlib province in the north west. Madaya, near the border with Lebanon, has a population of around 40,000 and has been besieged by Syrian government-allied forces for around six months. 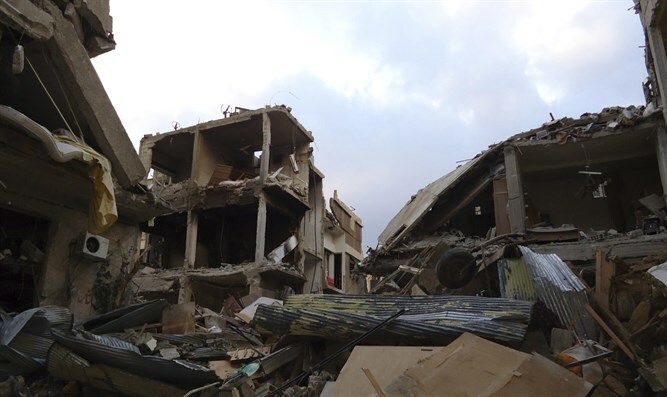 Zabadani has 1,000 people left, according to Reuters. Kefraya and al-Foua, in Idlib province in northwest Syria, have around 20,000 people, according to UN estimates, and have been surrounded by insurgents since April 2015. Last Thursday UN relief operations in Syria resumed after a 48-hour suspension due to a deadly attack. The UN temporarily suspended land deliveries after a 31-truck convoy was attacked last Monday at Urem al-Kubra in western Aleppo. The Syrian Arab Red Crescent said a staff member and around 20 civilians were killed and a warehouse destroyed. The United States later said it concluded that the attack on the aid convoy was carried out by Russia. Moscow has vehemently denied the claim.